The United States oil market has greatly benefitted from the global trade of energy products, particularly to Latin America recent reports suggest. The U.S. exported record quantities of natural gas, propane, gasoline, distillate fuel oil, and light crude last year while simultaneously importing heavy oils needed by refineries. Gas exports increased by almost 30% in 2016 and have more than tripled in the last decade, which has limited the build of unused gas and supported prices in recent months. Similarly, record propane exports eliminated a surplus despite low heating demand. Crude exports averaged 520,000 bpd in 2016, up from 465,000 bpd the year before. While the U.S. remains a net importer overall, demand seems to be building for American products. Latin America seems to be increasingly demanding American products. Some 30 nations in the region bought 2.32 million barrels per day of diesel, gasoline, and other fuels in 2016 from the United States, up a whopping 67% from 2011. The region’s biggest economies largely fuel this demand. Mexico alone increased its demand by 199,000 bpd last year (a 29% increase), and Brazil demanded an additional 75,000 bpd (a 94% increase). Interestingly, this seems to be a long-term trend that will not likely change in the near-term future. Latin American economies have long subsidized fuel costs for their citizens. 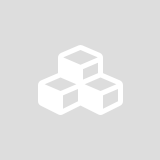 This has led to underinvestment in refining capabilities and new field development. Little interest has been shown for outside investment in state-run refineries leaving, leaving many of them incapable of keeping up with demand. Moreover, politically, most countries cannot raise fuel costs for their citizens. Last year, Mexico tried a 20% increase in gasoline prices and met with fierce resistance from their population. But it is not just Latin America that is increasing their appetite for U.S. crude. 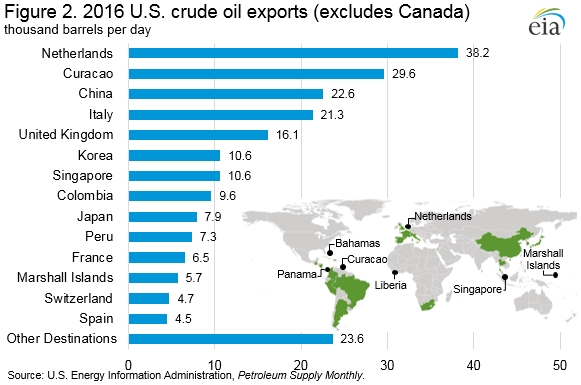 Following the lifting of the U.S. export ban in December 2015, some 26 different countries imported U.S. crude. 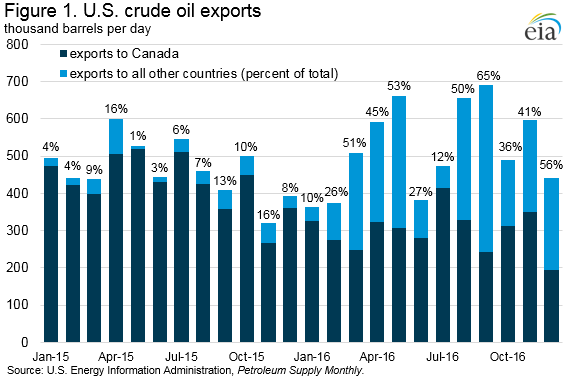 In 2015, 92% of U.S. crude exports went to Canada, but only 61% went to Canada in 2016. However, it should be noted that some of these countries like the Marshall Islands, Bahamas, Panama, and Liberia are unlikely to be the actual final destinations; but rather offer ports deep enough to allow for safe navigation of large vessels. One interesting effect that we will continue to monitor is that we might see a change in demand and pricing for heavy vs light crude. Historically, the U.S. produces light, sweet crude, while OPEC largely produces heavy, sour crude. Refineries in Asia and other countries are typically geared to process more heavy, sour crudes, but can obtain some degree of operational efficiency by blending in light, sweet crude (up to a point). U.S. refineries are similarly situated; however, on balance, they are geared towards lighter blends with some heavy crude mixed in (part of the reason that the U.S. is still a net importer and also why any true complete energy independence would not be obtainable in the short-term). Last year, we noted with some interest that a shipment of light, sweet U.S. crude made its way to Venezuela – an OPEC member. The likely purpose was to increase refinery efficiency by blending in the lighter crude. Historically, light, sweet crude trades at a premium over heavier crude. For example, at the start of 2016, Brent futures for delivery in June of 2017 traded at a premium of $6.00 per barrel over Oman futures for the same delivery date. But as OPEC has cut supply, and shale and others have increased the availability of light, sweet, that premium has narrowed. What effects this will have on demand for U.S. products over the long-term will remain fluid. Will refineries who are configured to process heavier crudes (and therefore might blend light, sweet in but cannot profitably do so outside of a narrow range), reconfigure? Or alternatively, will heavier crudes have more value (assuming OPEC continues its cuts)? Only time will tell. But it will, over time, have a significant impact on demand for U.S. exports.